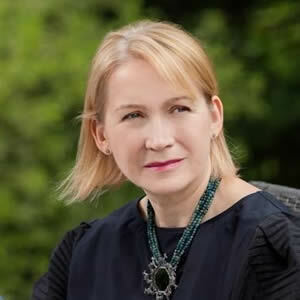 Krystyna Lenkowska is a Polish writer and translator. She has published one novel, twelve volumes of poetry and one CD. Three of her books have appeared in Poland in the bilingual Polish-English editions: Keep off the Primroses (1999), Eve’s Choice (2005) and An Overdue; Letter to a Pimply Angel (2014), one - in the Polish-Ukrainian edition: Care (Lvov 2014) and two - in the Polish-French editions: Fragment de; dialogue (2017 L’Harmattan, Paris, France) and Carte Orange (2017 Kraków, Poland). Her poems, fragments of prose, translations, essays, literary notes and interviews have been published in numerous journals and anthologies in many countries of Europe, North and South America and Asia. Her poem “The Eye of John Keats in Rome” won the first prize at the Sarajevo international poetry competition “Seeking for a Poem” for the year 2012. In 2013, Lenkowska received the MENADA prize at the XVII International Festival of Poetry DITET E NAIMIT (Macedonia- Albania). One of her poems has been included in one the most representative anthology of Polish contemporary poetry “SCATTERING THE DARK. AN ANTHOLOGY OF POLISH WOMEN POETS” (White Pine Press 2016, Buffalo - New York). Her translation of poems by Emily Dickinson, the Brontës as well as the contemporary poets, have been published in the literary Polish journals and books. Lenkowska is a member of the Association of Polish Writers(SPP) and Movimiento Poetas del Mundo.